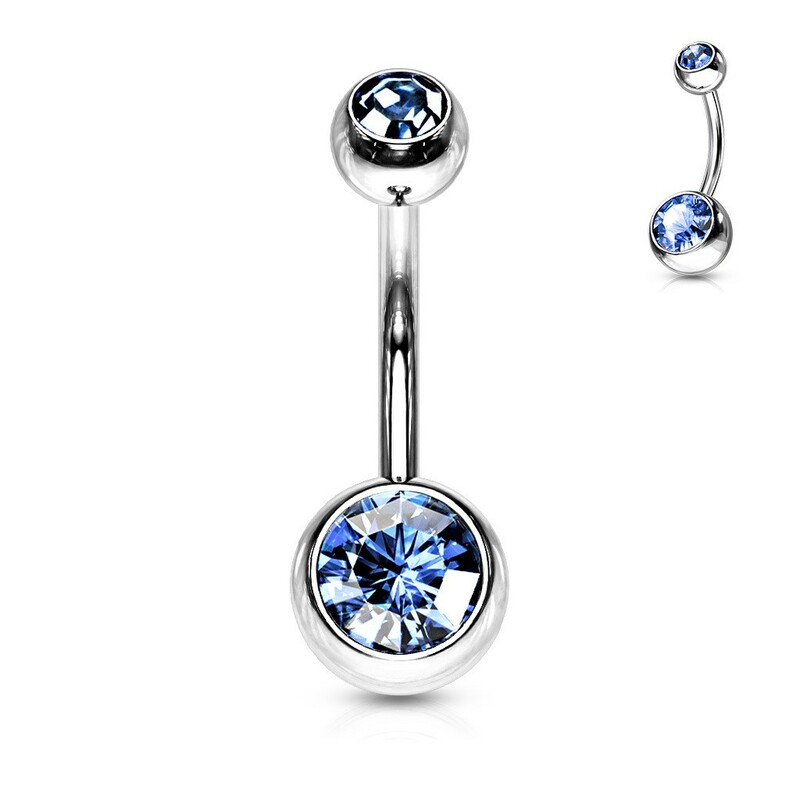 ‌A pretty basic belly bar with two coloured gems. Choose your colour from the many colours this belly ring has. Unique to this belly button piercing is; you could choose the colour and the size of the shaft and the balls. The piercing is available with a shaft of 6 mm by 8 mm. The balls are available in '5 mm and 8 mm' but also in smaller balls of '4 mm and 6 mm'. For more of these kinds of belly bars, check the related products! Just perfect, exactly what I was looking for and was delivered so quickly.